One of Africa’s biggest stars, Baaba Maal, will be playing ten concerts across the UK in March with his acclaimed band Daande Lenol (Voice Of The People) as part of the African Soul Rebels tour. The bill also features the Kenyan-American benga-rock band Extra Golden, and Zimbabwean giant Oliver Mtukudzi with the Black Spirits. Maal is clearly excited at the prospect. His unique voice and frenetic stage dances are as youthful as ever, but Baaba Maal is not new to the game. 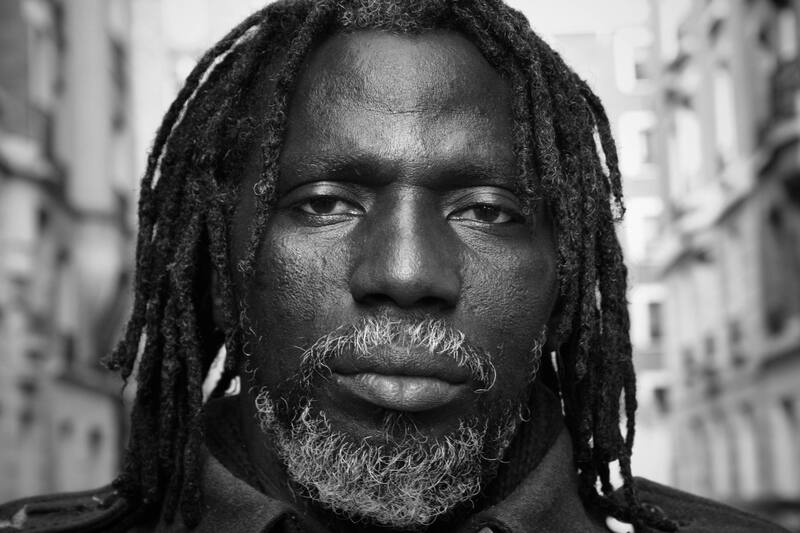 Born in the 1950s in Podor in Senegal, his early influences are as diverse as his music suggests. From an early age Maal was aware of his Fula heritage. Maal grew up during Africa’s wave of independence movements. He was strongly influenced, he says, by the theme of liberation that marked the music of the 1960s, particularly in Guinea, with legendary orchestra Bembeya Jazz getting special mention. 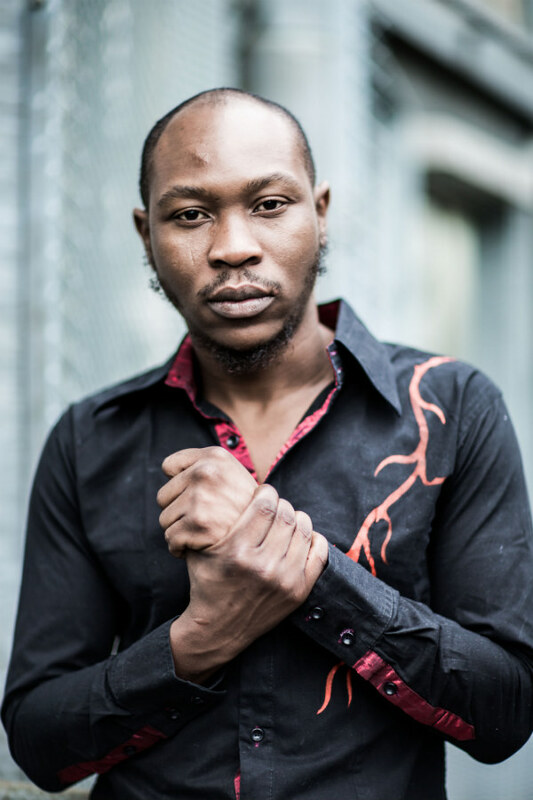 Maal’s music education was furthered by a postgraduate music scholarship at the Beaux-Arts University in Paris where he spent several years with his close friend, the blind griot guitarist Mansour Seck. After a number of prior cassettes and albums, they collaborated to produce the beautifully serene ‘Djam Leelii’ in 1989. The album was my introduction to West African music and it remains an absolute classic. Mostly complex string patterns overlaid with Maal’s crisp, high, distinctive voice; sometimes joyful, sometimes sad, here he set a precedent for producing songs that evoke an unusual range of human emotions. Having played concerts all over Africa, Maal is familiar with many of the challenges facing the continent and takes an active position when it comes to using his music as a platform for social and health issues. He represents the United Nations Development Program as a spokesman on the issue of HIV/Aids in Africa as well as being an ambassador for Nelson Mandela’s 46664 campaign. Two decades on Baaba Maal remains a key figure in African music. He has performed all over the world and produced over a dozen albums, at times embarking on brave fusion experiments incorporating ragga, rap, salsa and even Breton harp into his repertoire. He has worked with a range of producers, including Brian Eno on 1998 release Nomad Soul. More recently he took part in Africa Express shows in London, Lagos and Liverpool – the live collaboration project conceived by Damon Albarn feature African, American and UK musicians including Franz Ferdinand, Amadou & Mariam, The Hypnotic Brass Ensemble, Daara J and many more. The new édition bootleg On the Road, a collection of his favourite live acoustic performances, is the artist’s first album release in seven years. Acoustic sets will define Baaba Maal’s African Soul Rebels performances this March – it is always a huge treat to hear him play with Daande Lenol, a line-up which still includes long-time collaborator and friend Mansour Seck, this is an all-time classic African live music act. Not to be missed! He plays in the Hogon club, Bamako, at Carnegie Hall, New York, and the Barbican, London. He has played with Damon Albarn, Taj Mahal and Peter Gabriel, with Bassekou Kouyaté, Ballaké Sissoko, Baaba Maal, and a thousand other African greats, most of whom remain unknown to the world at large. 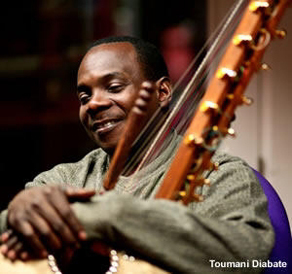 For Toumani Diabaté, Mali’s great kora maestro, the most important thing is to keep playing. “My mission is to play” he says. And so far he’s doing pretty well. The 42-year old Diabaté started learning the kora, West Africa’s 21-stringed harp-like instrument, when he was five. Since then he has performed at over 2000 concerts and more than 170 festivals. Diabaté is descended from 70 generations of griots, a West African term meaning praise-singer, poet, or bard. His heritage is rich with musical talent and an innate understanding of the social obligations of the role, whose origins can be found in the 13th century courts of the Malinke Empire. His father Sidiki Diabaté was known as the ‘King of the kora’; internationally famous before the commercial brand ‘world music’ existed. ‘The griot helps to organise the ceremony of birth and weddings. The griot is a peacemaker between men and women, between nations’. Hearing him play at Womad this year was a hypnotic experience. The dulcet, melodious trickles of sound he creates via his fingertips are simply mesmerizing. These multi-layered, almost transcendental compositions won him a Grammy in 2006, in his collaboration with the late Ali Farka Touré, producing the widely-acclaimed album, In the Heart of the Moon. It becomes clear that it is the sheer beauty of his music that dignifies such ceremonies with a grace borne of religious origins. ‘I am spiritual’ says Diabaté, ‘Mali is 95 per cent Muslim. I was born into that. My music was never written. The music I have is divine inspiration’. Clearly Toumani Diabaté keeps himself busy. His diverse collaborations and musical journeying bear witness to a creative endeavour unparalleled among contemporary African artists. From unique albums with Spanish flamenco band Ketama and bluesman Taj Mahal, to the grand collaborations of Albarn-inspired Africa Express and Mali Music, Diabaté is always open to new ideas. In October 2008 he played with the London Symphony Orchestra (LSO) at the Barbican. ‘It was an honour. I enjoyed it because it is a very prestigious orchestra’ he says in his casual way. Diabaté’s English accent and language reflect the French and American influences on his life and career. ‘Yeah, they (LSO) are great musicians, the venue was great. It was a very good opportunity. Today when you take African music, some people only think about percussion but in Africa we have more than that. The LSO’s music is not exclusively theirs. The LSO and I play the same classical music, close to the origin’. When it comes to the business of next year’s work, he becomes secretive. ‘Insha’Allah (God willing) there will be a tour next year’, he says. ‘I will be continuing with The Mandé Variations project and working on some other different projects as well. I hope people will like what we produce’. People have been dazzled by the virtuosity of The Mandé Variations, nominated for Best Album of 2008 by fRoots magazine. All-acoustic, it is Toumani’s first album of solo kora since his groundbreaking debut, ‘Kaira’, released almost twenty years ago. This year’s album has won praise in particular for its evocation of more traditional themes after the bolder, more experimental Boulevard de l’Indépendence, which he produced together with his Symmetric Orchestra in 2006. When asked about other contemporary African musicians, Diabaté points out that ‘Mali is one of the poorest countries in the world financially, but today it is one of the number one countries culturally – Bassekou Kouyaté, Amadou & Mariam, Oumou Sangaré, Ali Farka Touré – all great artists in different ways, and all from Mali’. To emphasize the depth and diversity of his homeland’s wealth of performing artists, he adds, ‘You only know about 5 per cent of Mali’s music scene’. And despite his elevated position among this pool of extraordinary talents, and the hyperbole that is often employed to describe his work, Diabaté maintains a mild, relaxed manner. There’s always a hint of humour in his eyes. He seems happy. The more excitable youth touring in the late 1980s has given way to a mellow, modest man. Perhaps his spirituality and a consciousness of his ancestry have instilled in Diabaté a genuine humility as well as a sense of responsibility. ‘I would like to do something for my people’ he states. One can be sure that most Malians who have had the privilege of hearing him play, not to mention the Friday night regulars at the Hogon club, would argue he’s already doing exactly that.